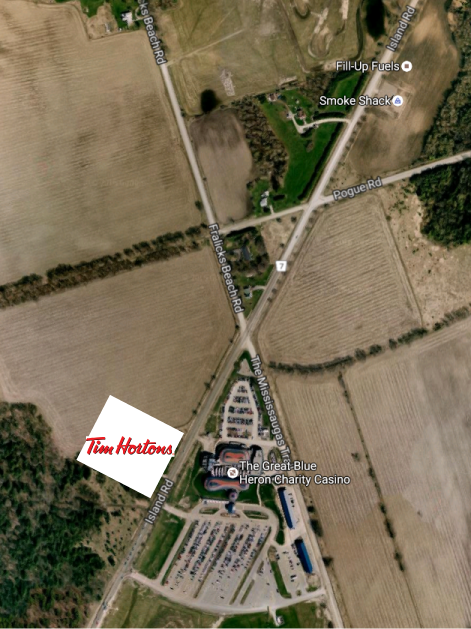 A new Tim Hortons restaurant is coming to Scugog Island, right across the road from the Great Blue Heron Casino. The restaurant will open the week of July 17th - the gas station on the same site opened July 14. 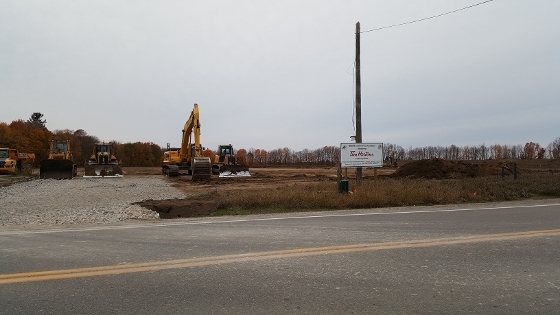 The building site is just north of the customer exit from the casino, south of the Fralick's Beach Road intersection, on the west side of Island Road. At first, the location may seem a little odd, but when you think about it, the spot makes sense. With the amount of customers frequenting the casino (which never closes) and gas station just up the street, there should be more than enough traffic to keep the restaurant busy. Residents living nearby on Fralick's Beach Road and Carnegie Beach Road will have less distance to travel to get their timmie's fix. The new water processing plant adjacent to the site will undoubtedly make things much easier for the restaurant. Scugog Island is well known for having water supply issues. Many nearby homes have shared water wells. Here is a photo of the site shortly after construction began. This will be the third Tim Hortons location to be built on an Ontario First Nation. The first was opened on Rama Road across from Rama Casino in August, and the second is slated to open in November inside the Casino Rama Rotunda.